« New Video: A Lifetime Commitment. Here’s a picture I took of my sister in law from Colorado after eating a lobster. 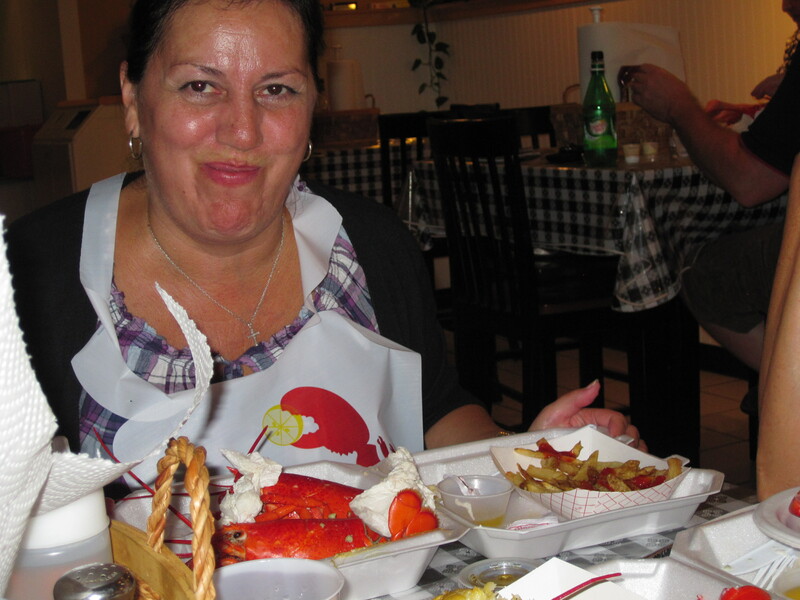 Her, my mother in law, and my wife’s aunt were visiting us here in Maine, and they wanted to try a lobster dinner. This entry was posted on April 5, 2012 at 11:36 pm and is filed under Uncategorized. You can follow any responses to this entry through the RSS 2.0 feed. You can leave a response, or trackback from your own site.